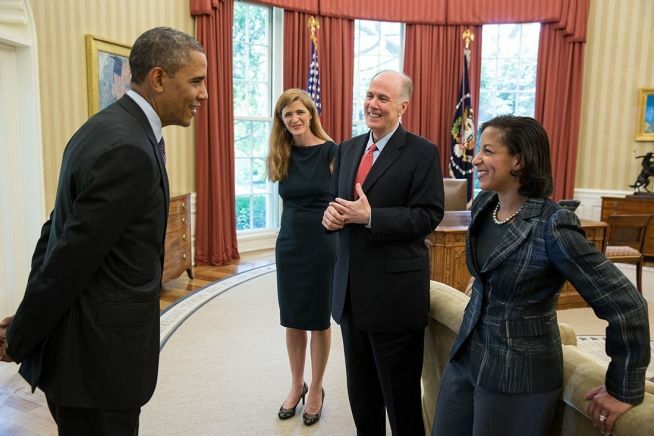 Justice Integrity Report - Democratic Foreign Policies Show Bipartisan Cruelty, Folly – And Criminality? Democratic Foreign Policies Show Bipartisan Cruelty, Folly – And Criminality? Comments by leading Democrats last week underscored how both major parties remain committed to deadly, immoral, and otherwise catastrophic military global interventions under the rhetoric of democracy-building. Secretary of State John Kerry said the U.S. would not insert ground troops “yet” after Russian intervention against radical Islamists in Syria caught the United States flatfooted. Meanwhile, his predecessor Hillary Clinton described U.S. intervention into Libya as a success and advocated a No Fly Zone over Syria, as do the leading GOP candidates for the 2016 presidential election. Then Madeleine Albright, who held the cabinet post during President Clinton’s second term beginning in 1997, provided a glowing overview of American goals during a lecture Oct. 16 and called for more of the same. Albright’s lecture before the Democratic-oriented Center for American Progress in the nation’s capital shows yet again how war and empire-building retain a powerful appeal throughout the nation’s power centers even when the policies obviously result in vast death, destruction, misery, erosion of legal and moral standards, U.S. taxpayer cost, and U.S. geo-political strategic failure. Examining Albright’s lecture and her rare historical role is a useful way to appreciate why Washington decision-makers and their apprentice supporters remain so united behind so many policies that might seem like failures, at least to those outside the matrix. In the end, President Obama was forced to listen to his generals — not his political instincts — on Afghanistan troop levels, and he decided to split the difference. Mr. Obama is keeping 5,500 troops in Afghanistan beyond his presidency, about half the strength recommended by his top general in-country. It marks the sixth time he has rejected the advice of a ground commander on the force size in the long Iraq and Afghanistan wars. Military experts call that streak unprecedented for a commander in chief. Leading Democrats last week underscored how both major parties remain committed to catastrophic military global interventions under the rhetoric of democracy-building, humanitarianism, and terror-fighting. President Obama reversed his plans to withdraw ground troops from Afghanistan by the end of his presidency. He instead announced that nearly 6,000 would remain there. Even so, the conservative Washington Times sought to shame him with the headline Obama ignores generals’ advice on troop levels for unprecedented sixth time. Rowan Scarborough, Oct. 15, 2015. In the end, President Obama was forced to listen to his generals — not his political instincts — on Afghanistan troop levels, and he decided to split the difference. Mr. Obama is keeping 5,500 troops in Afghanistan beyond his presidency, about half the strength recommended by his top general in-country. It marks the sixth time he has rejected the advice of a ground commander on the force size in the long Iraq and Afghanistan wars. Military experts call that streak unprecedented for a commander in chief. Then Madeleine Albright, who became the nation’s first female secretary of state during President Bill Clinton’s second term beginning in 1997, praised American goals and methods during a lecture Oct. 16. In the Democratic presidential debate Oct. 13, Kerry's predecessor as secretary, Hillary Clinton, described U.S. intervention into Libya as a success and advocated a No Fly Zone over Syria to thwart Assad and his allies. The leading GOP 2016 candidates also advocate such a zone with minimal explanation of how it might function if Syrian and Russian air forces and ground-based missiles ignore Western threats. Meanwhile, Secretary of State John Kerry said the U.S. would not insert ground troops into Syria “yet” after Russian intervention against radical Islamists in Syria caught the United States intelligence flatfooted. But American problems go far beyond the question of ground troops. Among them: Russia’s intervention was at the request of Syria’s sovereign government, whereas scant traditional legal rationale exists for a U.S. intervention, much less such military actions as a No Fly Zone. Additionally, Russia has taken many steps to establish de facto control over significant terrain. It has greatly expanded, for example, its longtime base in Syria’s Latakia province, staffed it with advanced aircraft and other equipment, and launched precision missiles from Caspian Sea traveling 900 miles to hit targets in Western Syria (and with a reach that could presumably reach the capitals of Gulf monarchies if desired). Furthermore, it has created what NATO fears is 600 kilometer zone where U.S. allied forces may have difficulty operating radio, radar and other electronic communications. Perhaps most important, the Russian initiative to exterminate radical jihadists with far more firepower than allied forces have been willing to use raises questions in Europe and elsewhere about U.S. goals and methods. The still-influential former CIA Director David Petraeus called for U.S. alliance with Syrian representatives of al Qaeda, which the U.S. has been demonizing since at least 2001. Additionally, federal authorities have recently confirmed that the CIA has secretly been training for four years rebel forces, many of them non-Syrian, in what American authorities have deceptively described as a civil war. 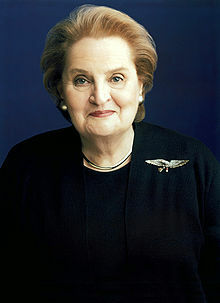 Albright’s background and her lecture before the Center for American Progress, the top liberal and Democratic think tank in Washington, DC, show how war and empire-building retain a powerful appeal throughout the nation’s power centers. The policies retain strong support in the nation’s capital even when they cause vast death, destruction, misery, erosion of legal and moral standards, U.S. taxpayer cost, and U.S. geo-political strategic failure. The reasons should be no surprise. The policy rationales are promoted as necessary for safety and humanitarian reasons and also advance the careers of those involved, as well as many of their fortunes, organizations and also ideologies, religious, and ethnic loyalities. Virtually all U.S. officials have praised the war as a justified because the Saudi-born Osama bin Laden lived there in 2001. But that rationale is increasingly threadbare for a war now 14 years in length and when U.S. courts and other government officials are protecting Saudi entities against litigation by 9/11 victim families and less than three dozen of the 535 members of the House and Senate are willing to release to the American public their 2002 joint Senate-House report on who funded the 9/11 hijack suspects. Institute for Political Economy, The Fall Of The Unipower, Paul Craig Roberts, Oct. 17, 2015. 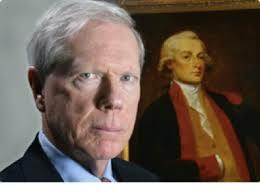 (The conservative scholar Dr. Paul Craig Roberts, shown in a file photo) has been assistant Treasury secretary during the Reagan administration, associate editor of the Wall Street Journal, and a research scholar at universities and think tanks.) The distinguished William Engdahl, in a superb statement here, has expressed the view I gave you that Russian President Vladimir Putin’s speech on September 28 at the 70th anniversary of the United Nations changed the balance of power in the world. It is clear that the neoconservatives are not sufficiently realistic to accept this change in the power balance and will resist it to the point of war. Until Putin’s speech, the world was intimidated by the Washington Bully. Resistance to Washington brought swift retribution. In the Middle East and Africa it brought economic sanctions and military invasions that destroyed entire countries. Other countries felt powerless in the face of the arrogant hegemonic Unipower, which from time to time replied to noncompliance with threats, such as U.S. Deputy Secretary of State Richard Armitage delivered to Pakistan, to bomb non-compliant countries “back to the stone age.” President Putin of Russia brought all that to end on September 28. Putin denounced Washington’s threat to the sovereignty -- and thereby the freedom -- of peoples and countries. He denounced the heartless criminality of Washington’s destruction of the lives of millions of peoples on the basis of nothing other than Washington’s own arrogance. He denouced the illegality of Washington’s assaults on the sovereignty of other peoples, and declared that Russia can no longer tolerate this state of affairs in the world. The remaining danger is the crazed American neoconservatives. I know many of them. They are completely insane ideologues. This inhuman filth has controlled the foreign policy of every U.S. government since Clinton’s second term. They are a danger to all life on earth. Look at the destruction they have wreaked in the former Yugoslavia, in Ukraine, in Georgia and South Ossetia, in Africa, in Afghanistan and the Middle East. The American people were too brainwashed by lies and by political impotence to do anything about it, and Washington’s vassals in Europe, UK, Canada, Australia, and Japan had to pretend that this policy of international murder was “bringing freedom and democracy.” The neoconsevatives must be removed from power, arrested, and put on international trial for their horrendous war crimes before they defend their hegemony with Armageddon. Washington Post, Top NATO general: Russians starting to build air defense bubble over Syria, Thomas Gibbons-Neff, Sept. 29, 2015. Gen. Philip M. Breedlove believes that Russia’s new presence in Syria is the first piece an intricate layer of defensive systems designed to hinder U.S. and coalition operations in the region. While Russia’s stated goal in moving into Syria is to fight the Islamic State, NATO’s top commander believes Russia’s new presence includes the first pieces of an intricate layer of defensive systems deployed to hinder U.S. and coalition operations in the region. “As we see the very capable air defense [systems] beginning to show up in Syria, we’re a little worried about another A2/AD bubble being created in the eastern Mediterranean,” said Breedlove to an audience at the German Marshall Fund Monday. “The build-up so far is clearly a growing expeditionary force that will significantly boost Russia’s ground-attack capabilities, allowing it to boost the defense of the Latakia region,” said Robert Monks, the editor of IHS Janes’ Defense Review. Monks added that he believes Russia’s next steps will include sending small communications detachments into the surrounding areas so that Russian forces will be able to better coordinate. Already, some open source reporting has identified various Russian communication vehicles moving in Latakia Province. While Russia has longstanding ties with President Bashir al-Assad’s government and has maintained a small military presence in the country for some time, a growing number of Russian forces began appearing in Syria towards the end of August. Russia now has 28 jets — a mixture of multi-role and ground attack aircraft — as well as 14 helicopter gunships and transports stationed at the Bassel Al-Assad International Airport in Latakia, according to U.S. officials. In addition to the aircraft, satellite images have shown artillery positions, while officials have confirmed the presence of T-90 main battle tanks and surface to air missile systems. On Tuesday Secretary of State John F. Kerry told reporters that the aircraft at the airfield “basically represents force protection,” as the majority of the jets stationed there are meant for ground attack. Monks agreed, saying the aircraft are consistent with “enhanced” force protection. However, a U.S. pilot experienced in close air support, pushed back against the idea of using jets as the primary means to defend the airfield. “If all hell broke loose, yeah, use jets for base defense, but for planning purposes, no,” he said, adding that if helicopter gunships were available, they would be the first option. Gunships, he said, have an ability to get much closer to a target than a jet. The pilot declined to be named because of his active duty status. It’s unclear what Russia’s priorities are, and officials in Moscow have spoken of both helping fight the Islamic State and bolstering the government of President Bashar al-Assad. Institute for Political Economy, The Fall Of The Unipower, Paul Craig Roberts, Oct. 17, 2015. The distinguished and knowledgeable international commentator William Engdahl, in a superb statement here, has expressed the view I gave you that Russian President Vladimir Putin’s speech on September 28 at the 70th anniversary of the United Nations changed the balance of power in the world. It is clear that the neoconservatives are not sufficiently realistic to accept this change in the power balance and will resist it to the point of war.Until Putin’s speech, the world was intimidated by the Washington Bully. Resistance to Washington brought swift retribution. In the Middle East and Africa it brought economic sanctions and military invasions that destroyed entire countries. In France and other US vassal states it brought multi-billion dollar confiscations of bank net worth as the price of not following Washington’s policies toward other countries. Other countries felt powerless in the face of the arrogant hegemonic Unipower, which from time to time replied to noncompliance with threats, such as U.S. Deputy Secretary of State Richard Armitage delivered to Pakistan, to bomb noncompliant countries “back to the stone age.” President Putin of Russia brought all that to end on September 28. Putin denounced Washington’s threat to the sovereignty, and thereby the freedom, of peoples and countries. He denounced the heartless criminality of Washington’s destruction of the lives of millions of peoples on the basis of nothing other than Washington’s own arrogance. He denouced the illegality of Washington’s assaults on the sovereignty of other peoples, and declared that Russia can no longer tolerate this state of affairs in the world. Two days later he took over the war in Syria and began exterminating the Washington financed and equipped Islamic State. Cruise missiles launched from the Caspian Sea hit ISIL targets with pinpoint accuracy and showed Washington’s EU vassals that Washington’s ABM system could not protect them if Europe permitted Washington to force Europe into conflict with Russia. Putin’s declaration of multi-polarity was seconded by the President of China, who said in his understated mild way that every country must participate in shaping the future and not just follow the leadership of one. The remaining danger is the crazed American neoconservatives. I know many of them. They are completely insane ideologues. This inhuman filth has controlled the foreign policy of every US government since Clinton’s second term. They are a danger to all life on earth. Look at the destruction they have wreaked in the former Yugoslavia, in Ukraine, in Georgia and South Ossetia, in Africa, in Afghanistan and the Middle East. The American people were too brainwashed by lies and by political impotence to do anything about it, and Washington’s vassals in Europe, UK, Canada, Australia, and Japan had to pretend that this policy of international murder was “bringing freedom and democracy.” The crazed filth that controls US foreign policy is capable of defending US hegemony with nuclear weapons. The neoconsevatives must be removed from power, arrested, and put on international trial for their horrendous war crimes before they defend their hegemony with Armageddon. Neoconservatives and their allies in the military/security complex make audacious use of false flag attacks. These evil people are capable of orchestrating a false flag attack that propells the US and Russia to war. The neocons are also capable of plotting Putin’s assassination. The crazed John McCain, whom idiotic Arizonians keep returning to the US Senate, has publicly called for Putin’s death, as have other former federal officials, such as former CIA official Herbert E. Meyer, who publicly called for Putin’s removal “wih a bullet hole in the back of his head.” I am confident that the neoconservatives are plotting Putin’s assassination with their Chechen terrorist friends. Unlike the US president, Putin often presents himself in open situations.